Recently, Microsoft announced a partnership with the good folks over at CafeX around bringing their Chat and Co-browse capability called LiveAssist to be a part of our Dynamics 365 patform. This exciting new partnership extends our platform’s ability to engage customers across additional channels, with “built-in” support for multi-session Chat and Co-browse today, and video & voice support coming soon. Having these new features at our disposal also opens up new opportunities to extend them in combination with some of our other key platform features. Microsoft Cognitive Services, as an example, provides a rich platform for extending our applications to take advantage of a number of interesting services like sentiment analysis, facial recognition, translation and more. In this article I’m going to show you how to leverage the sentiment analysis API to build a simple widget for Unified Service Desk that will display the sentiment for incoming chat messages from our LiveAssist platform and track themm for the current session, on a graph. NOTE: This work is heavily based on some great stuff already produced by my teammates Geoff Innis and Kate Michel – all I’ve done is built on what they’ve already outlined to an evolutionary “next step”. I greatly appreciate everything they have already done in this area, and am pleased to be able to leverage some of their great work, including Kate’s idea to capture sentiment over time in a chart visualization, as a foundation to build on for this solution example. Now that I think I’ve covered all those bases, let’s get started with an overview of this solution. For sentiment analysis, we’ll be leveraging the Text Analysis API to capture the sentiment for incoming chat messages. Although this API is a paid service, there is a “Free Tier” you can sign up for that allows you to develop and test your components with reasonable limits applied to the API. Once you get signed up for this API, you’ll want to capture your API Key – this will be used later in the code we’ll write to request the sentiment for a given incoming message. As of this writing, this coincides with my original “v4” of this component (that note is more for my benefit, than for yours). Either point to or download the above file. You can put it in a CRM Web Resource, or you can, as I have done, leverage it from an Azure Blob Storage location so all of your instances can have easy access to it. Update the Unified Service Desk configuration to define a new Hosted Control for the chart, and a set of actions on top of the LiveAssist chat control to connect the chats to the sentiment chart. I will breifly go through each of these areas in the sections below. Sentiment Key (s) – this is the key you saved in the step above from registering for the API. My key is 30 characters of mixed letters and numbers. First, the code that is used to capture the Sentiment from the API. It’s a simple POST back to the Text Analytics API, with the addition of some specific headers to define the structure of the call and supply the authentication token. There is also a payload sent to the API that follows a specific structure. Note that the header section includes a Ocp-Apim-Subscription-Key header – this value is the API Key supplied in through the “s” parameter, as well as the language key (which my code defaults to “en”, for English) to specify the source language for your incoming text. The hosted control definition is pretty straight-forward. This is a webpage, so we’ll use Standard Web Application. We want it to be part of the Session, so it’s marked as dynamic, but not global. I’ve also placed it in the LeftPanel1 location, but you can put it wherever you like. Now that we have the chat message safely in session, we can push it into the Chart control through a “send” sub-action assigned to the previous “get” action. Note: For those new to USD, each action can have a set of sub-actions defined. The first picture below is the definition for the sub-action’s Action Call, and the second picture is the inclusion of that sub-action call to the parent Get Sentiment for Last Chat Message. More information about Sub-Action calls can be found here. Finally, we can wire up the last two actions we created to the missing Event definition from the Chat control. The component does raise this event when new messages are received, but if it’s not defined in the Events list in USD, you can’t respond to it. So, we add it with very little configuration, which enables us to wire up the last two Actions. The new LiveAssist chat and co-browse capabilities are a great addition to our arsenal of tools in Dynamics 365 and the Unified Service Desk. Extending their functionality with our Azure-hosted Cognitive Services adds additional value to chat-based interactions with customers. The range of applications here are virtually endless – everything from agent training based on their tracked sentiment scores, to auto-routing of chat requests for historically “difficult” customers, and everything inbetween. So – what are you going to build? Try something crazy and let me know what you’ve done – I’d love to see it in action! 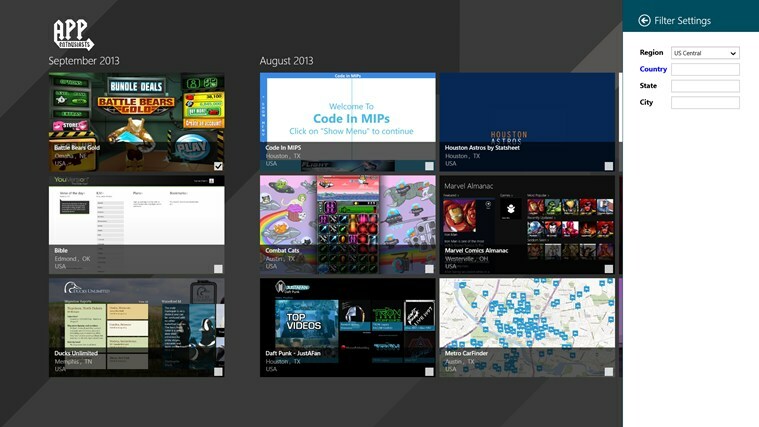 Check out these Windows Phone apps! Give them a try, and let the author know what you think! Our team at Microsoft is excited to announce the return of the Windows 8 Student App Madness Challenge! Create and publish a Windows 8 app by April 14th, 2014 and you could win* a $50 gift card. Promote your app and receive 100 downloads for the chance to win* an additional $50 gift card. Microsoft will provide you with all the software, resources and support you need to get started, build your app, and publish it to the Windows Store. This is a great opportunity for you to get some app building experience, and win prizes while doing it! What could be easier! There are a lot of helpful tools to get you started including some great app templates, like the SUPER-AMAZING Cross-platform Cloud Kit, advice on building great app logos for your new apps, and great training available online to help you build out the next great app. As always, reach out to me if you have any question about building apps for Windows 8 and Windows Phone, or if you’re interested in learning more about Windows Azure. Our team is here to help you whenever you need us! To qualify, entrants need to submit new Windows 8 or Windows Phone apps to the Windows Store or Windows Phone Store between October 1 and December 31, 2013, and fill out the Contest Entry form. Judging and public voting will begin in January 2014, with winners announced by January 31st. Today marks the launch of the App Enthusiasts application for Windows Phone and Windows 8! What is exciting is that App Enthusiasts is more than just an app, it is a movement to bring visibility to applications created by Windows Phone and Windows 8 devs. Microsoft field employees are planning to host events at Microsoft retail stores across the U.S. At these events, developers featured in App Enthusiasts share their creations and speak to the audience about their inspiration. We believe that an application like this can help create a community of supportive developers and fan interest alike. I certainly suggest reaching out to AppEnthusiasts@Microsoft.com if you have an app that you would like featured in this program! Seriously, we want your best work to shine! Users can see at a glance what City, State, and Country an app has been published in. Upon clicking an item, the user will be brought to the download page in the marketplace for the selected app. When an item has been viewed, a checkmark appears next to the item indicating that it has been seen. With these applications I found it really easy to discover cool apps coming from my geographical region. By setting the filter to my city I was able to see creations from people in my area. From here I could easily install apps built by people I’ve actually met in the field. Being able to curate and find their work made it incredibly easy for me to provide feedback and ratings. It is a really great way for me to keep in touch with my community and help promote the Windows ecosystem. If you want to know more about the upcoming events and how to showcase your app, send an e-mail to AppEnthusiasts@Microsoft.com. Hey all – the team is starting up a new round of Microsoft events – they’re similar to what we used to do with DevCares and MSDN Events (if you can remember back that far) but all have an education + hands on component to them. This schedule is for all of Central Region, and although we unfortunately can’t visit every city in the region, hopefully you can find a city near you so that you can attend! Build 2013 Highlights – The Best of Build! Were you unable to attend Build 2013 and hear about the latest Microsoft product announcements for software developers? Never fear! In this session, we will give you the best of Build, covering the major announcements and technology innovations you need to know as a developer. We will show code and demos to get you up to speed on the latest with Windows 8.1, XAML, WinJS, Bing, Windows Azure, and Visual Studio. Often, as developers, we think of our pet software projects as a hobby. As it turns out, we have one of the most profitable hobbies in the history of hobbies! Billions of dollars have already been made by developers just like you that built an app for a mobile platform, and monetized it effectively. In this one-day event, we will share with you some modest and extreme success stories, some strategies for making money from your apps, and some technical instruction on exactly how to make that happen in your code. We will also demonstrate how easy it is to build one unified codebase that can used on Windows 8, Windows 8.1, and Windows Phone. Overview of the platforms, success stories. Trying to wrap your head around app development across multiple platforms? Trying to capitalize on the opportunities in both the Windows 8 and Windows Phone 8 marketplaces? Want to maximize your design and development resources and get to market better, faster, and stronger? Then come to this session and learn some real world techniques to maximize your efficiency of developing for both Windows 8 and Windows Phone 8. See how you can minimize your development costs by maximizing sharing and reuse between the two platforms. Build your first Windows 8 apps with an accompanying app on Windows Phone! We will start from scratch to create a Windows 8 app that is powered by the cloud AND includes a Windows Phone version too! 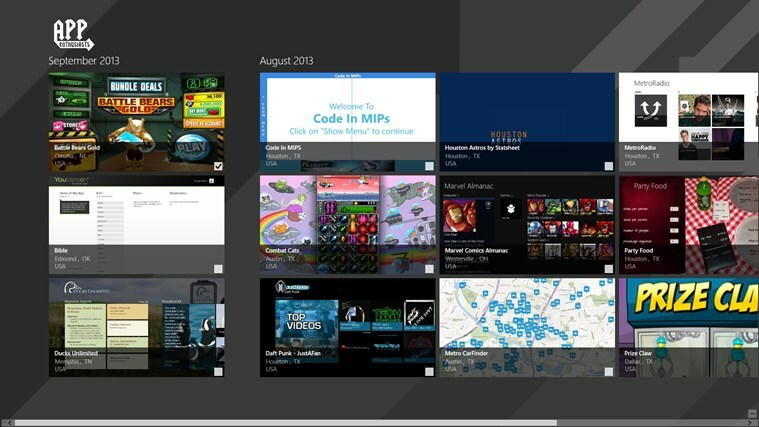 Want to quickly build and publish a Windows 8 game? Here’s your chance! Whether you’re a novice or a seasoned pro, the Game On Virtual Event is for you. This FREE event covers everything you need to develop, upload and publish a Windows 8 game to the Windows Store. With GameMaker: Studio from YoYo Games, it’s easy to create an amazing game in record time. Thanks to built-in design options and drag-and-drop tools, you don’t need development experience to participate or build a Windows 8 game! Pro developers can also dig deep into the code to create a one-of-a-kind game experience. Join us for this FREE virtual event kickoff on June 15 from 10:00am to 2:00pm (PDT), and then over the next seven days, build your game fast with individual help from the experts. All week long, we’ve got your back with one-on-one support, GameMaker forums, and an online Help Center that’s ready and willing to answer your questions. So if you’ve been thinking about building a game for Windows 8, now is the perfect time to make it happen. Register for the Game On Virtual Event today. After many emails, and much procrastination, I finally had a chance tonight to update the Windows Phone Starter Kit for WordPress over to Windows Phone 8 and update it to support WordPress 3.5.1. Open your Starter Kit in Visual Studio 2012 (this is now a Windows Phone 8 project, not a Windows Phone 7 project, so Visual Studio 2012 is now required). Copy all the code from https://github.com/ChrisKoenig/Windows-Phone-Starter-Kit-for-WordPress/blob/master/Networking/WordPressPlugInReader.cs and paste over the top of the existing code in your Visual Studio project. Basically what I had to do was add a variable parameter to each of the query strings on the URIs requesting data from the WordPress site as it seems that WP3.5+ is caching the data based on the query string parameters now, which it didn’t used to do before. If this doesn’t work, let me know and I’ll try to help walk you through it.